I think all horse owners have or have had that special horse in their lives that leave hoof prints on their hearts. One such horse came into our lives in 2002, a 9-year-old solid bay breeding stock Paint mare, Three Bars Jazz. Jazz came with her own set of problems, often bucking between barrels or sticking her nose in the air and running wildly through the barrel pattern. My daughter Mary spent several years riding and training Jazz, working her through her problem areas until she became solid and dependable on the barrels. 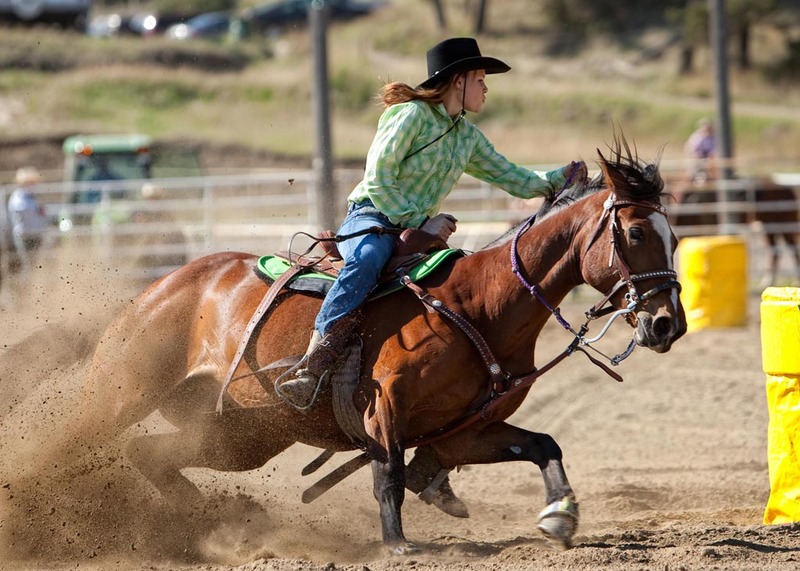 When our 13-year-old granddaughter Ashley needed a barrel horse, Mary turned Jazz over to her. 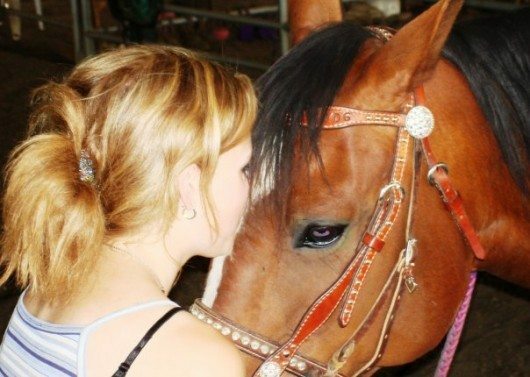 Ashley and Jazz became best friends during the 5 years she rode her. 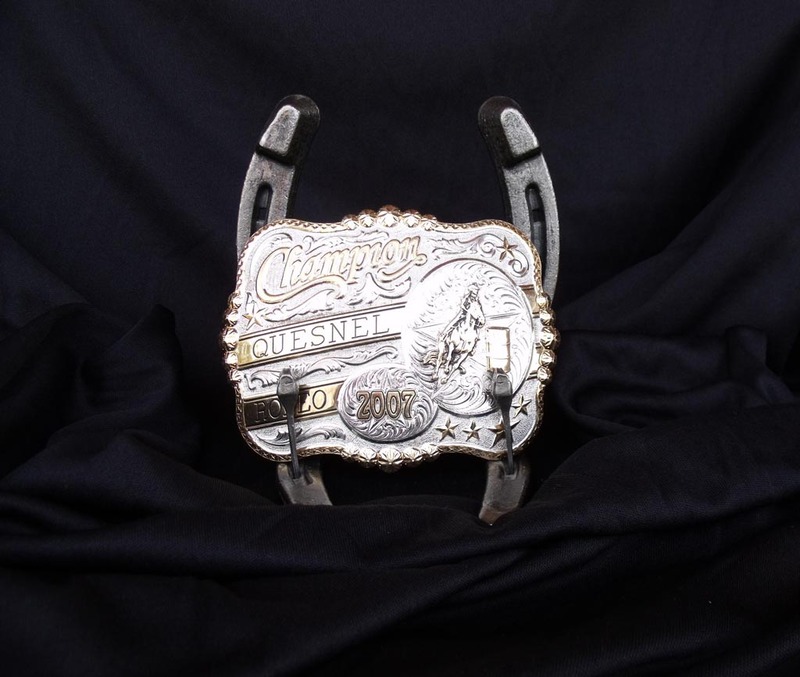 Jazz was a small horse that ran like a big horse, winning rodeos, saddles, and buckles for Ashley. Riding Jazz, Ashley became an accomplished and confident rider. She taught Jazz to run the barrels bridleless and often rode her in the arena without a bridle, loping circles and doing spins. When they were off to a rodeo or barrel race, Ashley would throw the rope over Jazz’s back and Jazz would jump into the trailer, happy to be going somewhere with her young owner and caretaker. Ashley spent many hours trail riding Jazz, keeping her in top physical condition. They jumped fallen trees on the trails and swam in the Quesnel River on hot summer days to cool off. There are many pictures of a smiling Ashley, hugging Jazz or giving her a kiss on her velvety soft nose, just as there are many memories in our hearts of this beautiful horse and young girl, hair flying in the wind as they ran the barrels. On August 1st, Jazz competed at her last rodeo. After she finished her run, she staggered and collapsed just outside of the gate at the Roe Lake BCRA Rodeo. Jazz struggled back to her feet but seemed weak and disoriented. In a state of shock and fear, Mary loaded Jazz into the trailer and rushed her to the Veterinary Clinic in Williams Lake, an hour and 30 minutes away, praying Jazz wouldn’t collapse in the trailer. Ashley and her friends stayed behind with the other horses, waiting anxiously to be picked up and taken to Williams Lake. After a week of examinations, tests and phone calls to New York, it was determined Jazz had congestive heart failure. Not knowing how bad this was, we were still in hopes that we would be able to bring Jazz home, where she could spend the rest of her life retired from competition and possibly give us a foal to remember her by. But this was not to be. Even though she looked beautiful and healthy on the outside, her condition was deteriorating. She became dizzy when she was walked and the vet counselled us that it would be best to euthanize her. With love and kindness, Jazz was euthanized on September 16, 2010. Ashley has a memorial box with some of Jazz’s ashes, the last set of shoes she wore, her halter and rope along with a lot of wonderful memories to help her deal with her loss. Through Jazz, Ashley gained the confidence and knowledge to train other horses. She is currently working with our weanlings, achieving a sense of accomplishment with the progress they are making. Life goes on and while you never forget the one you lost, your heart heals. 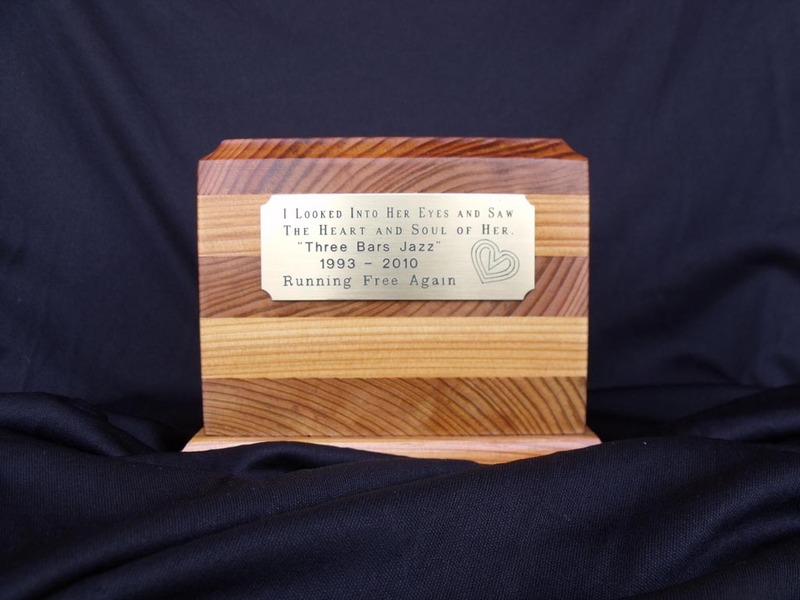 Truly a moving story Melissa, thank you for sharing…we know you all loved Jazz, as did many of the other barrel racers who knew her. Patti G.
Melissa, loved reading the story of Jazz and your granddaughter, Ashley . . . a beautiful relationship between girl and horse. What a touching story, ty for sharing it. thanks for the great story…sorry for your families loss though.